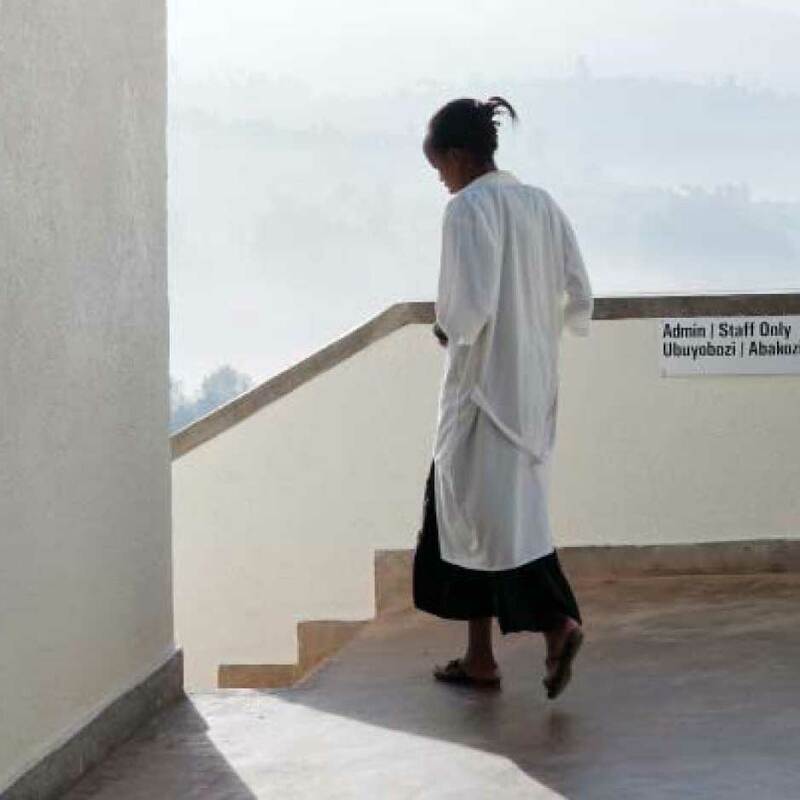 On a mountaintop in rural northern Rwanda sits a cancer treatment center that provides lifesaving care to individuals across the region. 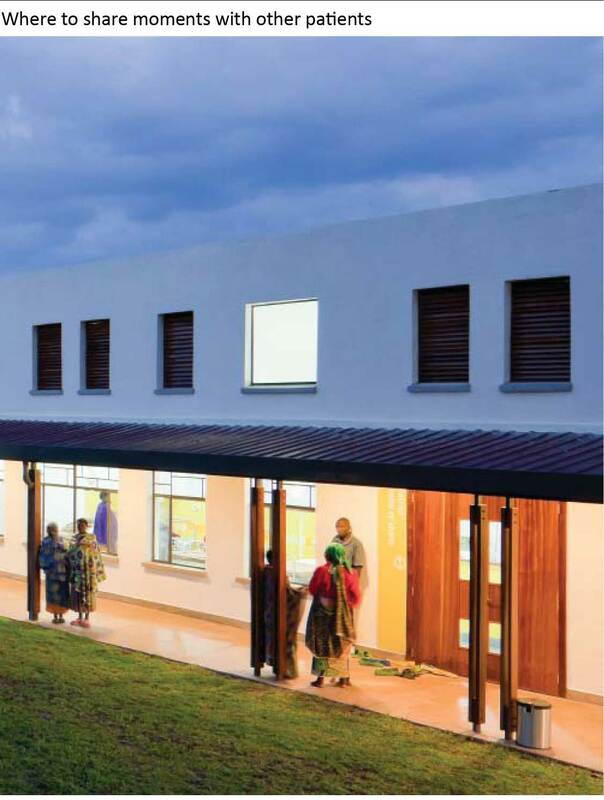 Since its construction in 2012, the Butaro Center for Cancer Excellence has helped over 1,000 patients, many of whom have been diagnosed with cancers that are often cured or successfully treated within the United States, Canada and Europe (but that, before the Center, were devastating and often fatal for patients in Eastern Africa). The Center remains the only cancer treatment facility of its kind in Eastern Africa. Initially, the Center focused on providing surgical treatment. In late 2013, a new ambulatory cancer center opened and significantly expanded the Center’s ability to provide outpatient chemotherapy infusion treatment. However, these infusion treatments often require a series of overnight stays in Butaro for treatment and follow-up. With just 22 beds in the hospital’s oncology ward, and with need to prioritize those beds for surgical patients, the Center has struggled to provide adequate onsite housing for patients needing chemotherapy treatment (along with their families and caregivers). 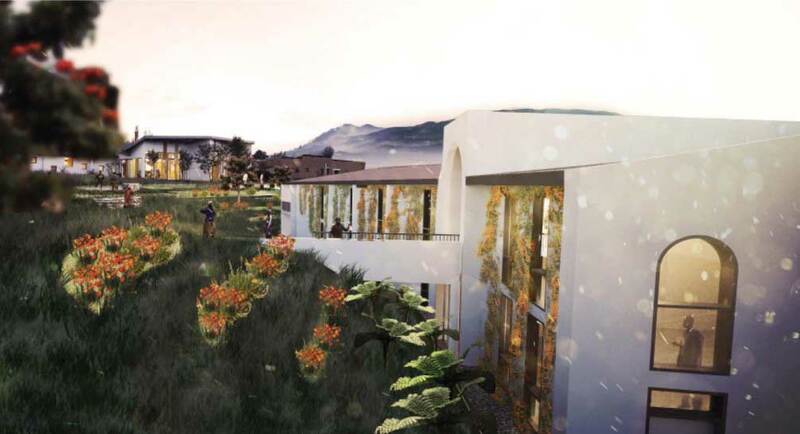 At night, the hillside outside of the Center serves as lodging for patients who are receiving chemotherapy or waiting for their follow-up assessment. 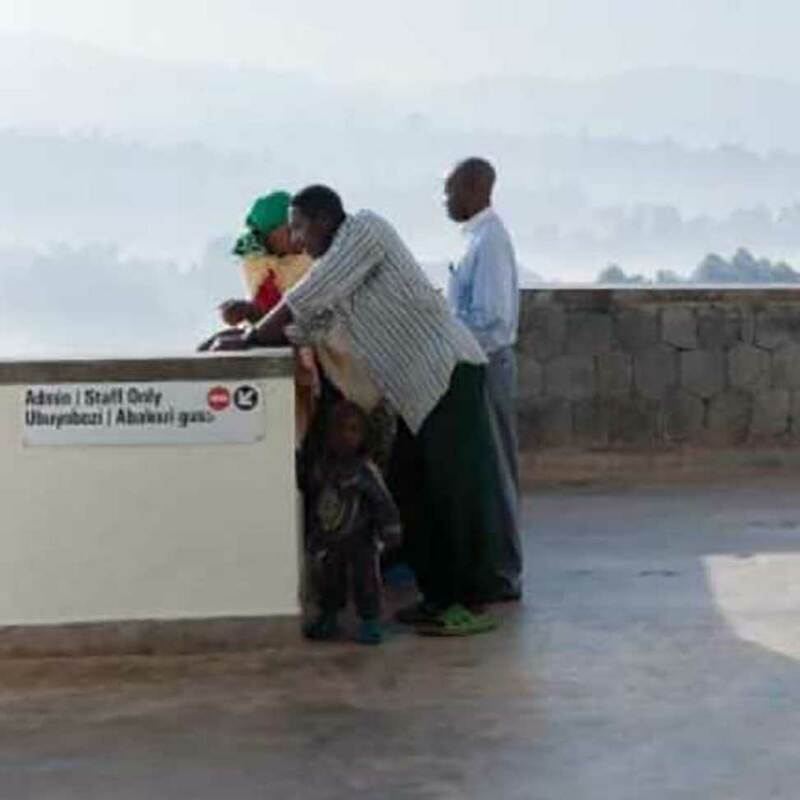 The journey back home (to other regions in Rwanda or to Uganda, Sudan and other surrounding countries) is too long and they are unable to afford the cost of a room in the nearby villages. So, along with their caregivers, these vulnerable patients sleep on the hillside each night. For some patients, these lodging challenges prove too much. Many of them leave the Center and return to their homes, without ever receiving the follow-up care that is so important to the cancer treatment process. The Center estimates that up to several thousand patients each year could be treated with chemotherapy if more housing for these patients was available. In 2015, the attorneys of Faber Daeufer & Itrato made a commitment to the people of Eastern Africa. Every year, this generous law firm donates one percent of its revenue to charitable organizations. Recognizing an incredible opportunity to impact thousands of lives, these lawyers accepted the call for assistance in building onsite housing for oncology Patients at the Butaro Center -- and committed over $350,000 to address this need. 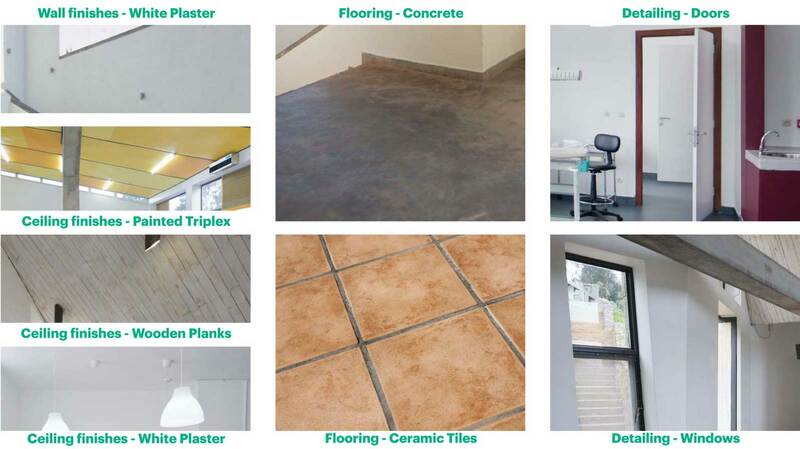 Now, as the project enters its final phases, the Cancer Patient Support Center is only a few steps away from completion. 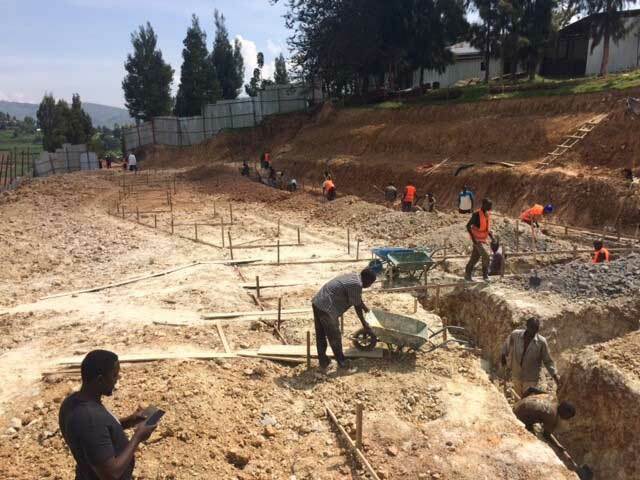 In 2012, Rwanda’s Ministry of Health, Partners In Health / Inshuti Mu Buzima, the Jeff Gordon’s Children's Foundation, and Harvard’s Dana-Farber/Brigham and Women’s Cancer Center opened the Butaro Cancer Center of Excellence. Located within the Butaro District Hospital, it is the comprehensive cancer treatment facility in the entire region of Eastern Africa. Through a collaborative care model, Dana-Farber provides innovative methods of treatment to ensure that patients receive the highest level of comprehensive care. The Institute supplies cancer medications and same day expert consultations between physicians in Butaro and oncologists in Boston. Brigham and Women’s Hospital conducts pathology testing of tumor tissues and provides surgical expertise. 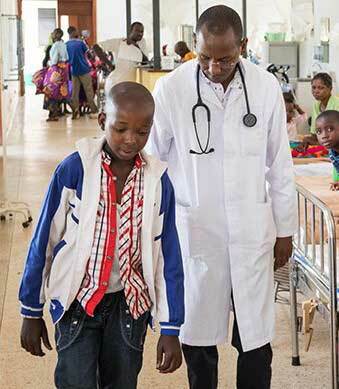 Through emails and weekly telephone meetings, doctors and nurses in Boston are able to advise Rwandan doctors and nurses. 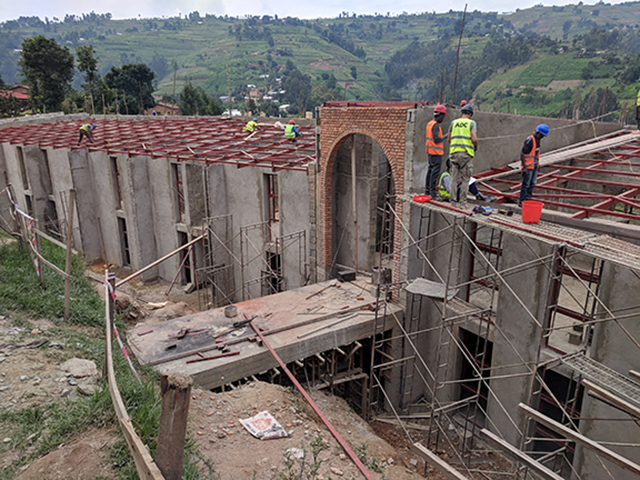 There has even been an instructional aspect to this extraordinary endeavor, with the Dana-Farber team Faber Daeufer & Itrato PC / faberlawgroup.com setting up a pathology lab at Butaro Hospital and teaching the Rwandan team the basics of cancer care. Support facilities, including lavatories, laundry, kitchen/cafeteria for nutritional assistance, and group counseling rooms for educational workshops, support groups and social assistance. 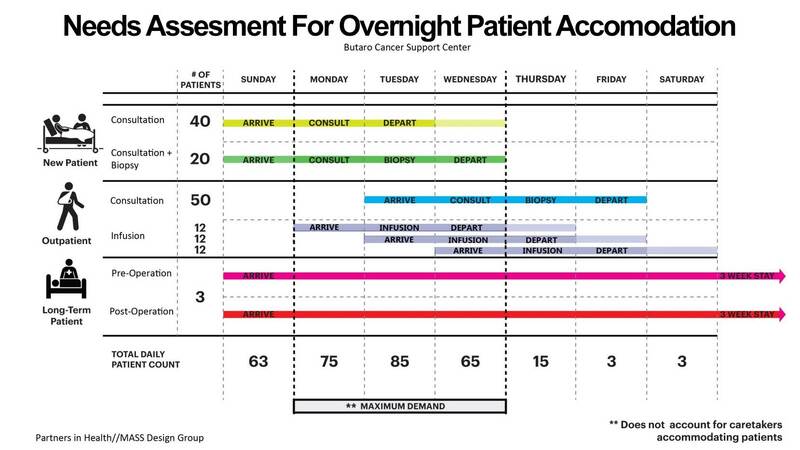 Planning for the Cancer Patient Support Center began with a comprehensive assessment of patient needs during and after their treatments. Stakeholders first considered three types of patient needs new patients, outpatients, and longterm patients. It was determined that the necessary timeframe for new patients falls between three and four days, consisting of a consultation and a biopsy. For an outpatient visit, a necessary stay averages four days. Longterm patients generally require a three week stay, presurgical and postsurgical treatments. When viewed on a weekly basis, this creates a concentration of maximum demand between Mondays and Wednesdays and the ability to house up to 72 patients at once. One of the most compelling findings from the assessment involved the necessity for shared common space, where patients and their attendants can congregate and communicate with one another. These areas will also provide picturesque views of the treatment center and the natural scenery that surrounds it. 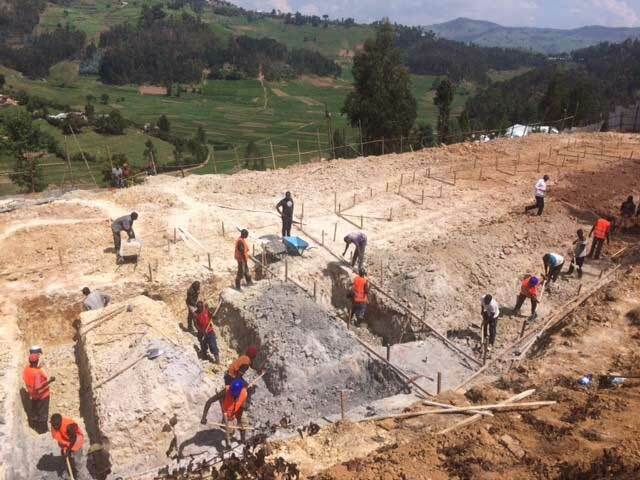 Virtually every aspect of the building material plan takes the visual and physical environment of Rwanda into consideration. Chosen design materials allow for temperature control of the Cancer Patient Support Center without expensive and energy consuming heating and cooling equipment. Heat capturing walls help to keep the interior comfortable, along with window positioning that promotes sufficient cooling and flow of air throughout each room. Design materials were meticulously chosen, including all landscaping options. 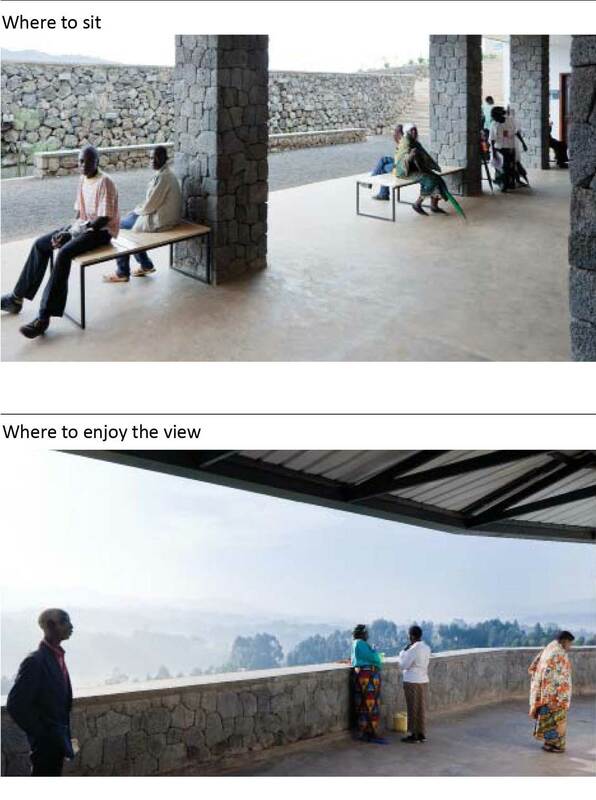 Patients and their caregivers can enjoy the grounds via concrete walkways and convenient benches. 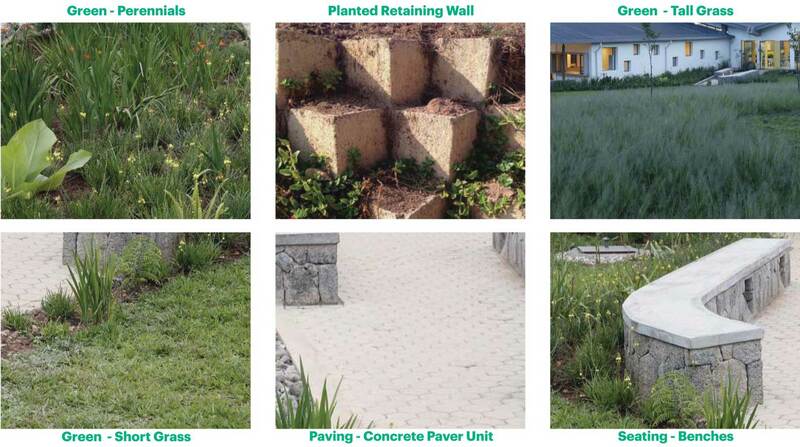 Carefully chosen grasses and perennials are also included to enhance the view and visitor experience. The projected budget for constructing and equipping the Cancer Patient Support Center totals just under $500,000. The Firm (with additional support from one of its partners) already has provided $290,000 to fund the total cost of the Cancer Patient Support Center, and will provide an additional $70,000 in 2018, just prior to the scheduled opening. 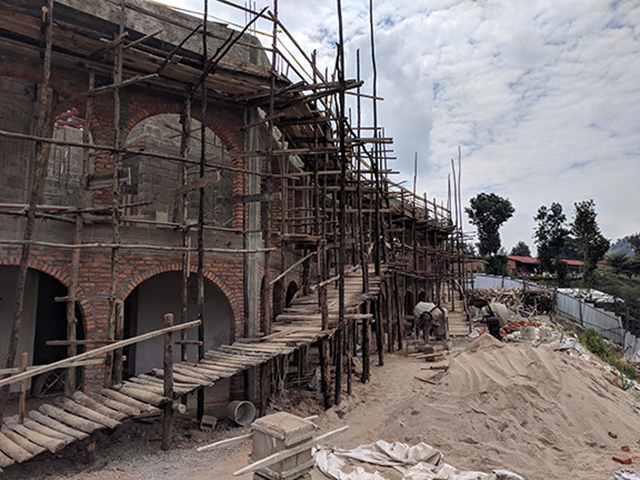 Together with a substantial contribution from one of PIH’s Board members who has been actively involved in the Butaro project since its inception, this will fully fund the construction and equipping of the Cancer Patient Support Center. Partners In Health (PIH) is a Boston organization providing preferential options for the poor in the area of health care through longterm relationships with sister organizations based in settings of poverty. 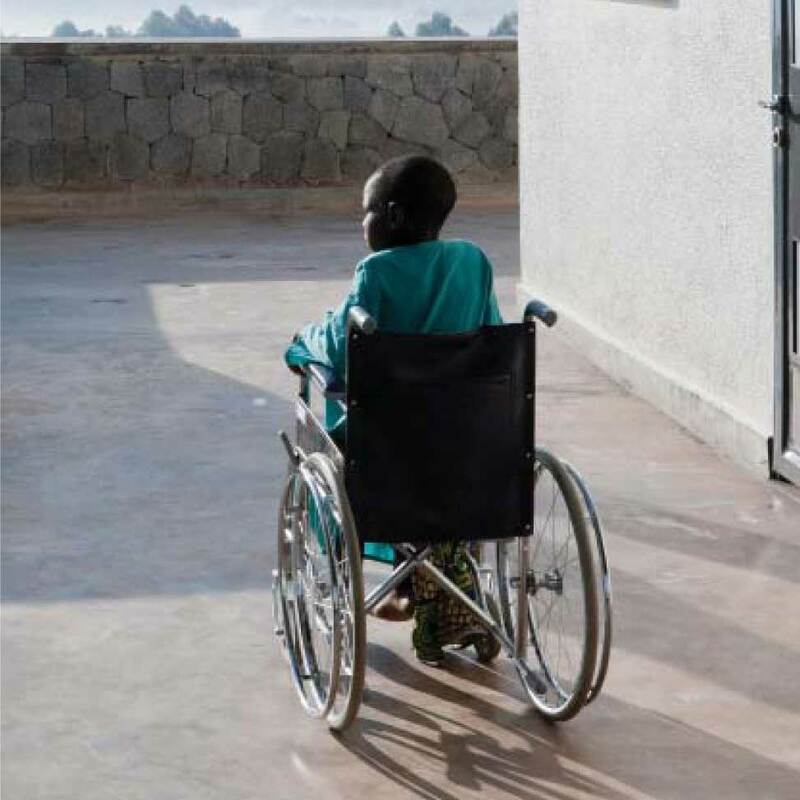 The overarching goals of PIH are to bring the benefits of modern medical science to those most in need of them and to serve as an antidote to despair. Harvard’s Dana Farber/Brigham and Women’s Cancer Center is also based in Boston. The medical facility provides care for adult patients by teams of cancer experts who work closely together to offer patients the latest therapies and treatment options. MASS Design Group is an award winning Boston based architectural firm with a mission to research, build, and advocate for architecture that promotes justice and human dignity. Philanthropy is an integral part of the Faber business model. We have an ongoing commitment to direct one percent of our annual revenue to organizations that work to address unmet medical needs for patients with limited means and to address other important unmet social needs. We proudly support numerous local programs, because we want to have a direct impact on our communities. However, we also think about maximizing the efficiency and effectiveness of our philanthropy. How can we have a greater impact on individual lives? How can we achieve that impact on a larger number of lives? How can we deploy our philanthropic dollars most efficiently, to have the maximum impact per dollar? And this thinking has led us to consider principles of global health equity -- that a life positively impacted anywhere on earth has the same value. We found that many local prospective donee programs operate models that are quite costly when analyzed from the perspective of $ per life impacted. When the Cancer Patient Support Center came to our attention, we were excited to find a project where the cost per person allowed us to assist thousands of persons, instead of hundreds. We believe that life anywhere has the same value and the Cancer Patient Support Center provides us with the privilege of helping to save thousands of lives every year. 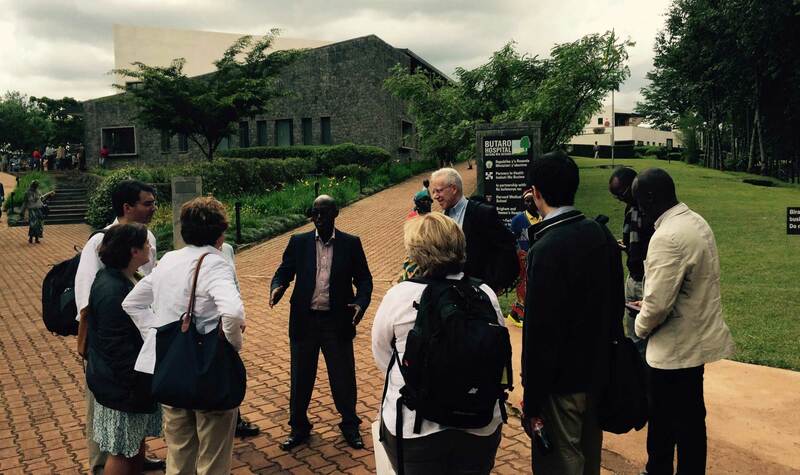 Learn more about PIH/IMB’s efforts in Rwanda. 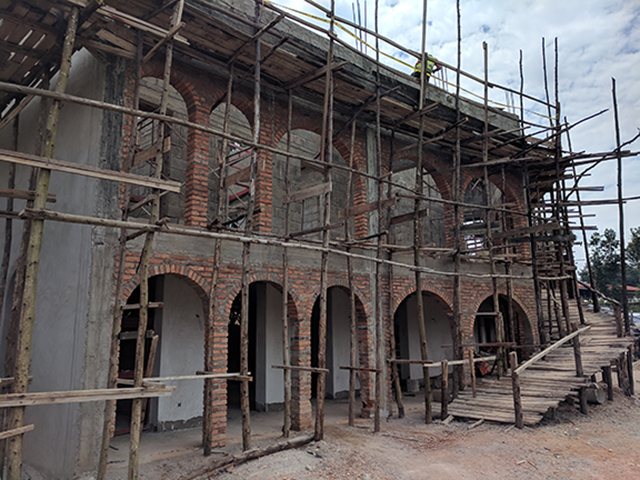 On September 15, 2017, PIH broke ground on the Butaro Cancer Patient Support Center, with a commemorative celebration attended by community leaders, project supporters, patients, and their families. Attendees listened as cancer survivors shared their personal stories and discussed the immense need that the Center will fulfill for future patients. 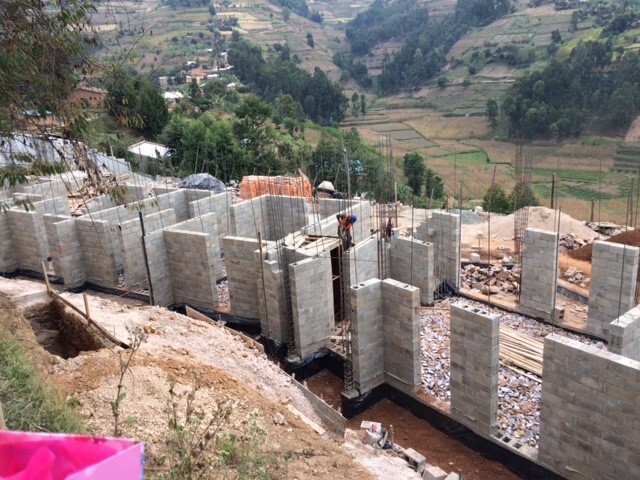 Guests also watched Rwandan government officials and PIH leaders lay the first brick for construction, exemplifying the true spirit of collaborative giving. Construction crews are now laying the foundation for what will become an invaluable housing and support resource for cancer patients undergoing extended treatments at the adjacent Butaro Cancer Center for Excellence. Expected completion of the Cancer Patient Support Center is scheduled for early 2019. 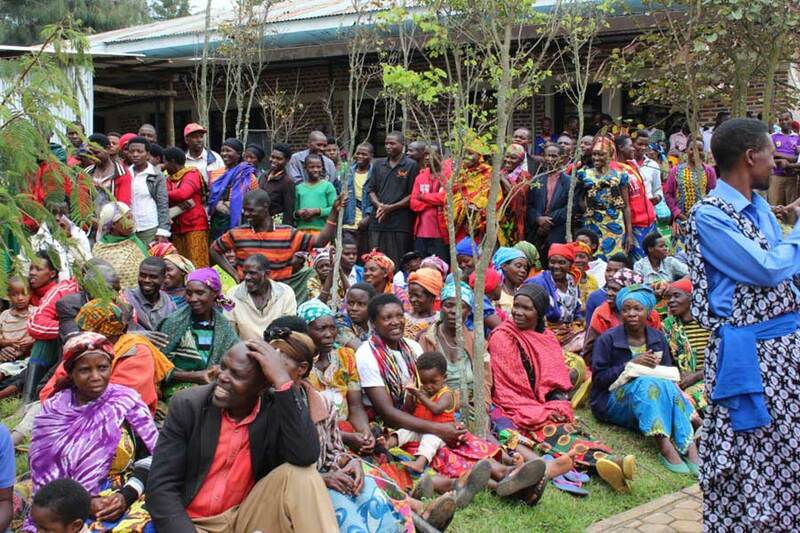 People gather for the groundbreaking of the Butaro Cancer Patient Support Center in Rwanda. 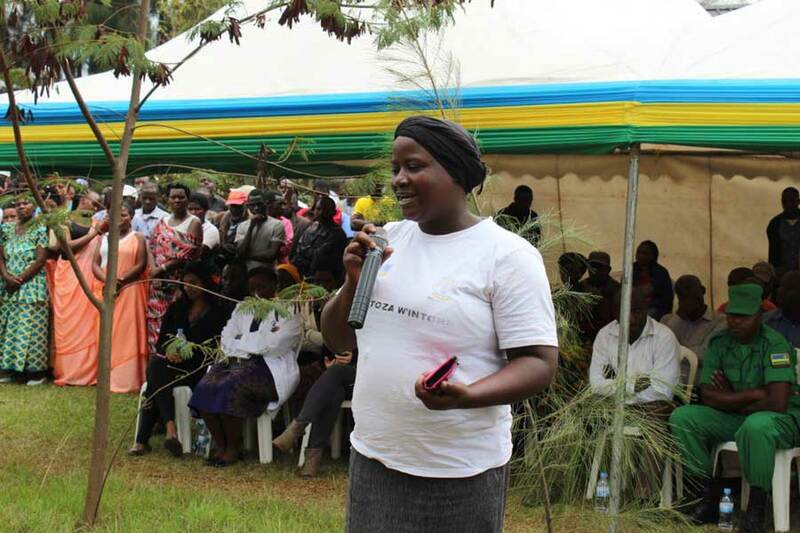 Cancer patient, Laurence Cyiza Tuyisenge gives testimony at the groundbreaking of the Butaro Cancer Patient Support Center in Rwanda. 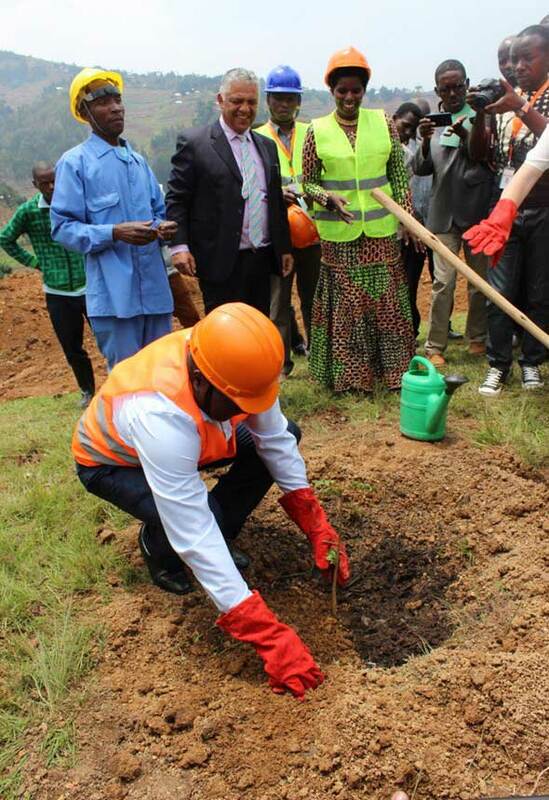 Northern Province Governor Jean Marie Vianney Gatabazi plants a tree of partnership at the groundbreaking of the Butaro Cancer Patient Support Center in Rwanda. 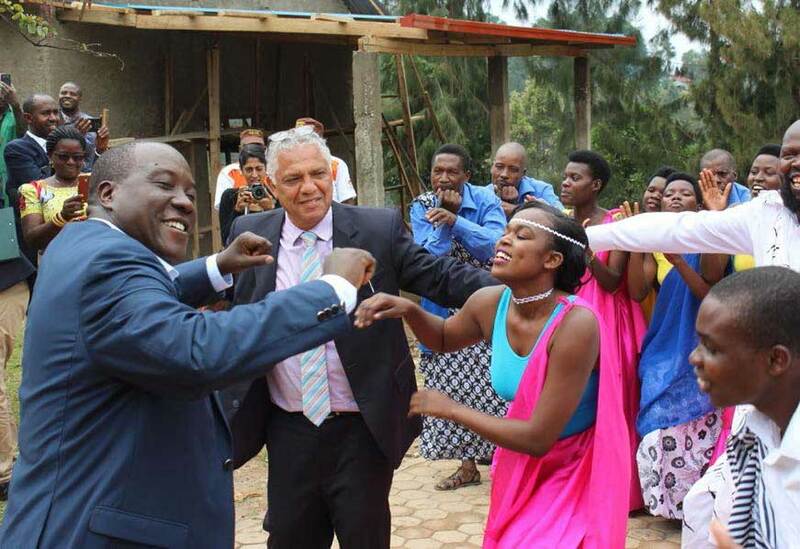 A traditional dance group greets PIH and the Rwandan government delegation at the groundbreaking of the Butaro Cancer Patient Support Center in Rwanda. 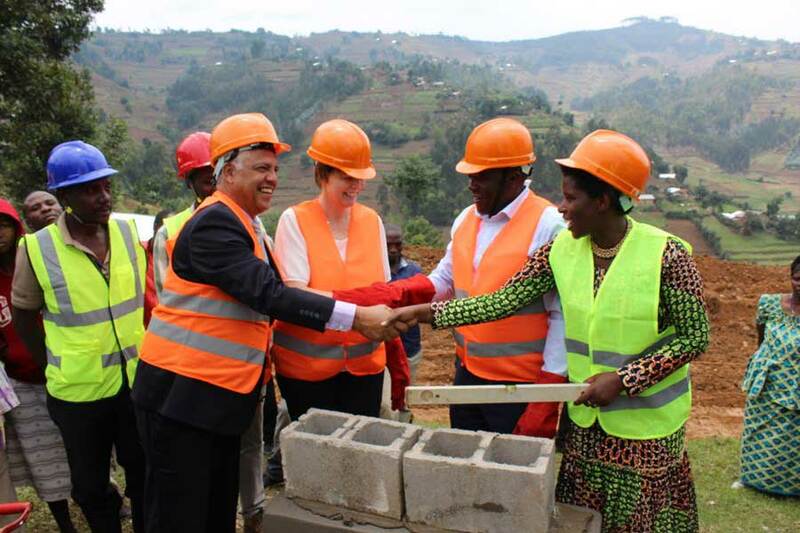 (left to right) Dr. Alex Coutinho, Ophelia Dahl, Burera Mayor Florence Nambajemariya, and Northern Province Governor Jean Marie Vianney Gatabazi, lay the first bricks of the construction of the Butaro Cancer Patient Support Center in Rwanda.